Course Info: Run takes place entirely along the paved paths of beautiful Little Mulberry Park. 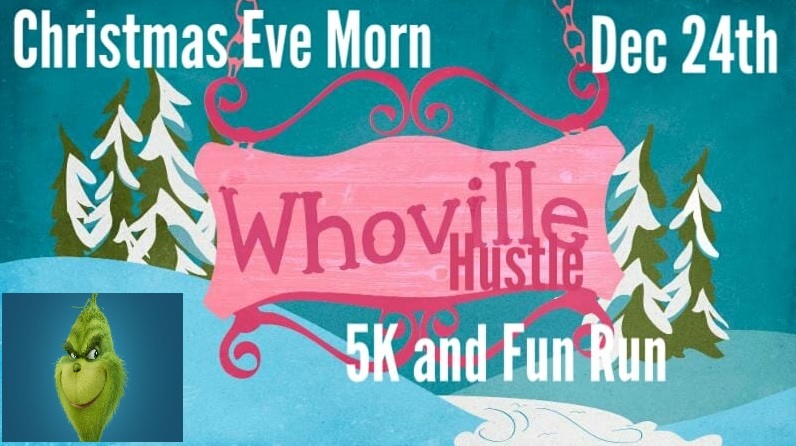 Awards: Join us for a Holly Jolly Christmas Eve morning full of Christmas Music, cookies, hot chocolate, doorprizes, photo ops and of course the run. Awards given to the top overall male and female winners as well as masters male and masters female winners. Also, awards given to the top three finishers in male and female 5 year increment age group categories. We will be holding an optional packet pickup on Sunday, Dec 23rd from 3:30 - 6 p.m. at TradeWinds Coffee Company in Dacula. You will also have the option of picking up your packet the morning of the event at the pavilion beginning at 7 a.m.